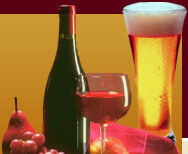 It is commonly believed that home brew wine is slightly harder to master than home brew beer. Therefore for many beginners the ideal choice for making wine is to buy a home wine kit. In the past the choice of home wine kit was limited but you can now brew any variety of wine you choose, from red, rose or white to fruit or country wine, opting for a basic or premium quality. These kits are often referred to as starter kits and are available for around £25. There are a vast range of kits on the market, available from your local brewing shop or online. The prices range from around £18 upwards. The general rule is, like most things, you get what you pay for. However that said even the cheaper kits can produce a wine comparable in taste to the popular supermarket brands. What type of wine kit should I buy? If you are planning on eventually moving onto producing your own wine from scratch it would be beneficial to buy the equipment you'll need now, then just purchase an ingredients kit. This kit will have everything you'll need to produce your wine, complete with easy to follow instructions. They are available for roughly £10.00 (which will produce approximately 5 gallons of wine). If however you are planning to make some home brew wine as a one off, or aren't sure whether you'll want to pursue this hobby further you can buy the complete kits. These include all the ingredients, as well as all the equipment you'll need to make your first batch of home brew wine. These kits are often referred to as starter kits and are available for around £25 (which will produce approximately 6 bottles of good quality wine). If you go for this option re-fill kits are also widely available, meaning your equipment can be used time and time again. Below are a selection of home wine kits that are available to buy on-line and should help get you started on your wine making journey. This home wine starter kit contains the ingredients and equipment needed to produce 6 bottles of Cabernet Sauvignon at home. This wine kit is great for beginners as all you need to do is add sugar and water and you are well on your way to a great tasting home brew wine. Just add brewing sugar and water to this easy to use white wine starter kit for a great tasting Chardonnay in only 7 days.